إذا كنت تبحث عن فندق بموقع جيد في أديليد، فقد وجدت ضالتك في Adina Apartment Hotel Adelaide Treasury . يسهل الوصول إلى هذا الفندق ذو 4.5 نجوم من المطار، فهو يبعد عنه مسافة فقط. كما يمكن الوصول بسهولة إلى Pilgrim Uniting Church, ‪Balze Cliffs‬, ‪Puerta de Alcala‬. 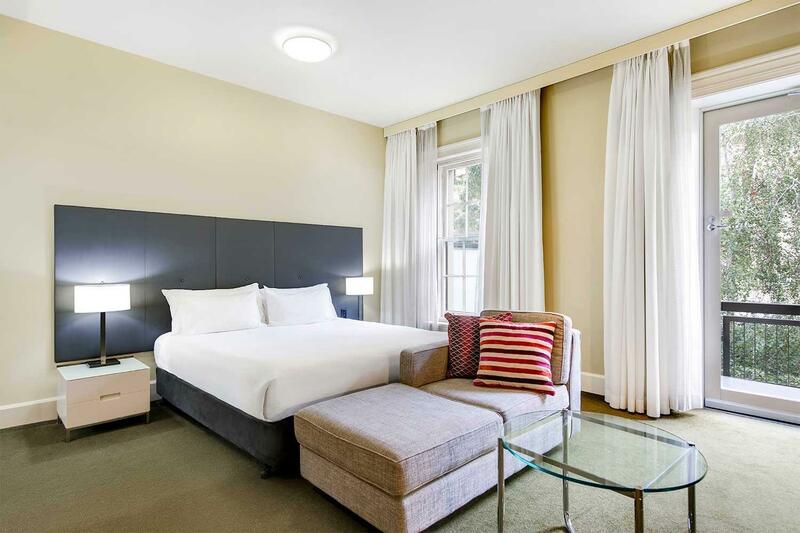 إن الخدمات التي يقدمها Adina Apartment Hotel Adelaide Treasury تضمن للنزلاء إقامة مريحة. إن واي فاي مجاني في جميع الغرف, مرافق مخصصة لذوي الاحتياجات الخاصة, تسجيل وصول/خروج سريع, واي فاي في المناطق العامة, صف السيارات هي جزء فقط من الخدمات التي تميز Adina Apartment Hotel Adelaide Treasury عن باقي الفنادق في المدينة. 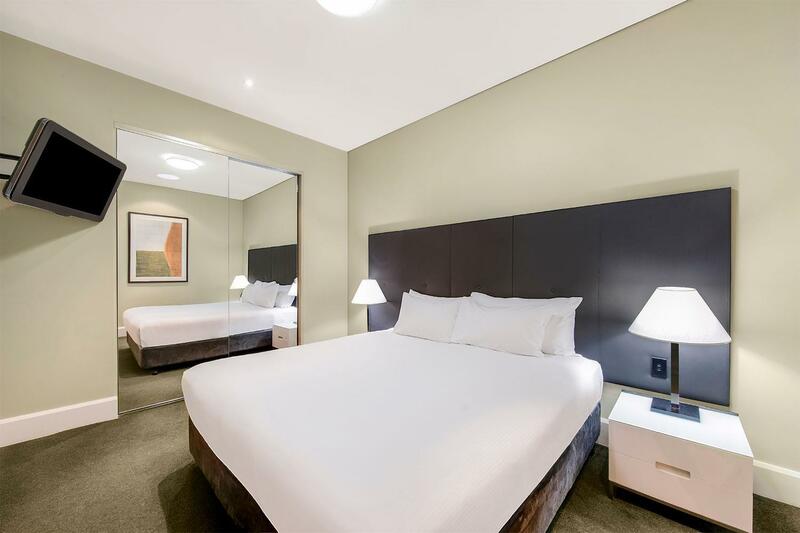 في Adina Apartment Hotel Adelaide Treasury غرف نوم يزيد عددها عن 80 صممت بذوق وعناية لتوفر لك كل وسائل الراحة . بعضها يحتوي أضاً على غرف لغير المدخنين, مكيف هواء, تدفئة, مكتب, ميني بار. صممت خدمات الاستجمام في الفندق والتي تتضمن مركز للياقة البدنية, ساونا, حمام سباحة داخلي, سبا, تدليك لمساعدتك على الاسترخاء والراحة. إن Adina Apartment Hotel Adelaide Treasury هو مكان مثالي للمسافرين الذين يتطلعون إلى الراحة والاستجمام في أديليد. The apartments in this hotel have everything you could want. The restaurant provides excellent room service. The breakfast in the courtyard is excellent. The washer and dryer are very convenient. The staff is excellent! Easy walking to Rundell Mall and Street. Easy to pick up a rental car and to meet up with tours. The Adina is centrally located to everything Adelaide. Free city bus and tram stops right outside, Central Market is a 5 minute walk. Rundle Mall is a 10 minute stroll. Apartments are very comfortable with everything required for a self catering stay. Staff always helpful. Didn't eat at the restaurant as there are many lovely choices close by. The location was close to the Mall & Hilton where my conference was beibg held. The decor was very nice & the rooms were very spacious. The kitchen & laundry facilities were perfect. I would definately stay here again & recommmend to others. 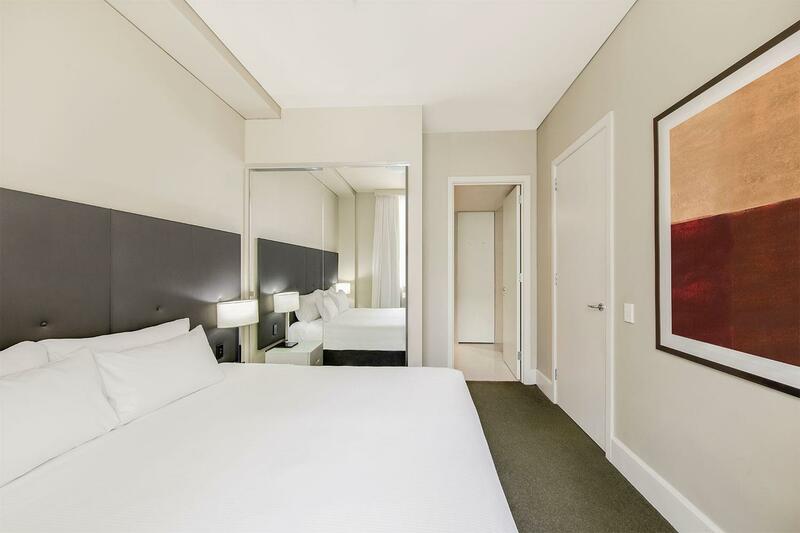 this is a very nice hotel with well appointed apartment style rooms with plenty of space. kitchen area has microwave, oven and fridge freezer. the rooms though a little cramped are nice with good sized wardrobe. flat screen tv in both living area and bedroom also. great courtyard to relax over a drink also. did not get to use the pool or gym during my stay but looked nice. The hotel is near Victoria Park which is very central in the city. It is very convenient to walk everywhere. Price is fair with a spacious room with sofa, dining table, and kitchen as well. But the lift can only reach the 1st floor and there are stairs to walk to my room in the 2nd floor. It is really hard for me to bring luggages to walk the stairs. Staff are able to help to carry luggage but you still have to walk the stairs when you go out and come back to the room. I did not expect to have stairs for a hotel room. If you are elderly please check in advance with the hotel first so that you make sure the lift can reach the floor where you room is. booked for 3 nights and paid for it but unfortunately need to cut short my stay to just 2 nights. I spoke with the reception staff if i can get a refund for the remaining night,and they agreed to give me a refund. 1 month now,the refund that they promised still hasnt forwarded to me. I called them several times but they are telling me that they already transferred the refund. I will not be this frustrated and angry if i already got the refund. i even went to my bank to clarify if they already transferred to my card but the bank staff couldnt even see any transaction for refund from adina at all. so i am writing this review to warm other costumers to think first before they book in this hotel. service is very terrible. Perfect Location, great bar and outside alfresco area. this heritage building is amazing but the rooms are very tired, though they are very large sized rooms with all the facilities needed. Colour pallet is very outdated. Stayed for 2 nights in an executive room. Big very comfy bed, lounge area, kitchen and separate bathroom/toilet. 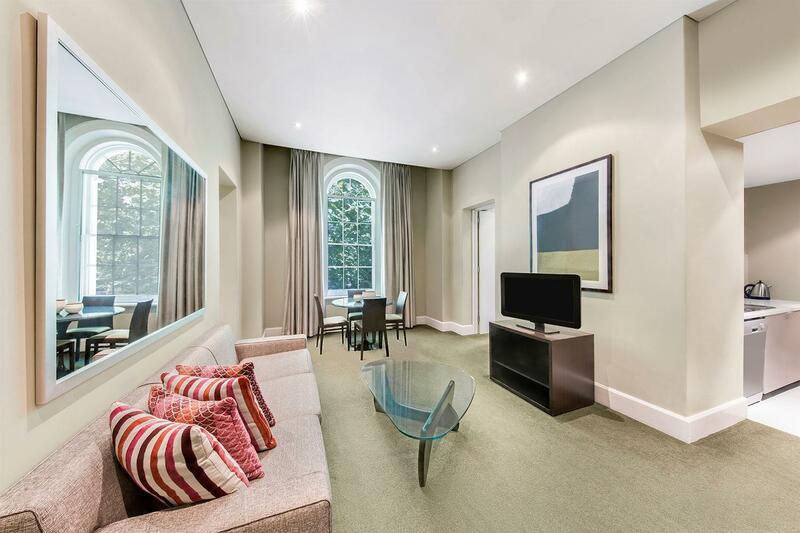 Good size room and access to a small balcony overlooking the gardens. Very close to lots of restaurants and theatre district. Central market a short walk away for fabulous foods and cafes. Pool in the basement with a small gym. Terrific old historical building and definitely on the comeback to list. We had a great stay here. The apartments were first class, with all the amenities you could ever hope for! It is very central and good for public transport. The hotel was an excellent mixture of 'smart' and informal. Nice central courtyard with a bar and food. Breakfast was a little bit lacking in choices and you had to buy each bit individually. Overall a really lovely historical place to stay. 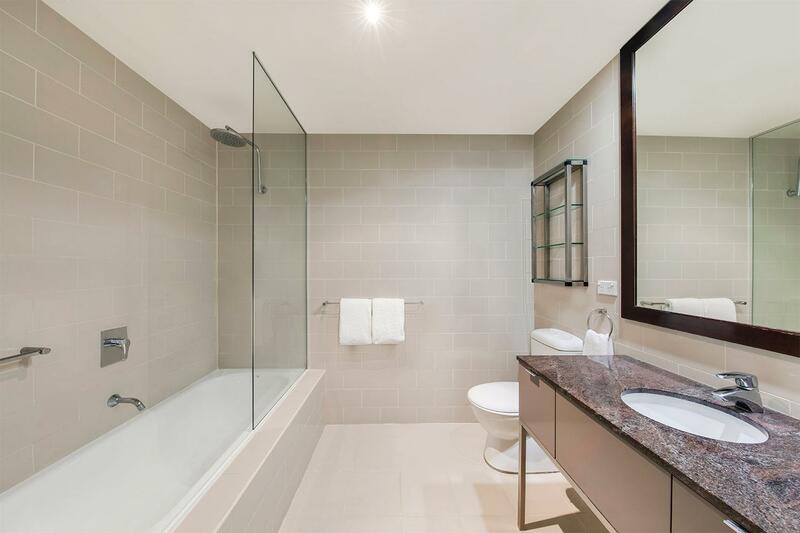 We recently stayed at the Adina in a one bedroom apartment for 10 days. We loved it! 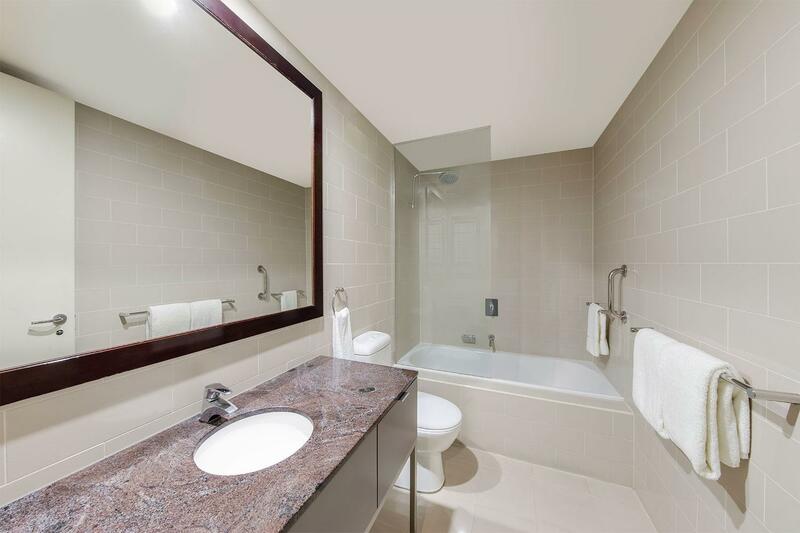 Great location close to the Adelaide market and Rundle Mall. Staff service was excellent and we couldn't fault anything with the apartment. The renovated building is beautiful and we will stay again when we're back in Adelaide. At the heart of CBD, next to the Victoria square, the building I believe was built for the Treasury about 100yrs ago. The building was well maintained and it was a beautiful piece of architecture, the hotel is modern and looks like it has been recently renovated. We booked a studio room but they give us a one-bed apartment instead, it has a decent rooftop balcony overlook the skyline building in CBD which is a Plus. The location is good but a little bit far away from the Randle mall and restaurant (about 15mins walking and 3 mins drive). The hotel can provide off-site parking for $14 per/day, you have to walk 3-5 mins to get there. Great stay. We loved the apartment, but the only thing letting it down was the brown staining around the floor and corners of the bathroom. No excuse for this as a quick replacement of the white sealant would do the job. The only other negative relates to the Wifi. Only 100MB per day barley gets access to email. I've been travelling for 7 weeks throughout NZ and Australia and this is the first time that wifi has been restricted. Time to get into the modern world Adina. We were very pleased with our room which overlooked Victoria Square and which had a comfortable bed and all the other things which one hopes for in a hotel of this standard. We arrived on a public holiday and found the hotel dining room closed which was a disappointment - bad luck as far as we were concerned because public holidays are just that. The décor and renovation have been carried out very successfully - one felt the history of the building. Loved the stay at Adina The Treasury, good location in the heart of the city. Customer service was always ready to help give directions. Staying in a historical building definitely added to the overall experience. Weather was wet, which was unfortunate, however this was unavoidable. Was disappointed in the restaurant, we arrived to a new menu, and thought it overpriced plus the meals were undersized. Service was good, and would go back to the hotel but not the restaurant. Unfortunately the car parking is not located at the hotel, and this was a bit of an issue, but I suppose that is not there fault. Maybe next time we will not bother about a car hire. Comfortable and clean, friendly staff. The lift is far away from the most hotel rooms. The cleaner was very friendly helping us with the luggage to lift. Check out time is 10 o'clock which was a little bit early for us. The character, thick walls and sense of silence, the upgrade we were given! We have come back here for special one night stays..we ride our bikes in and the staff don't blink an eyelid at our old tredley bikes! 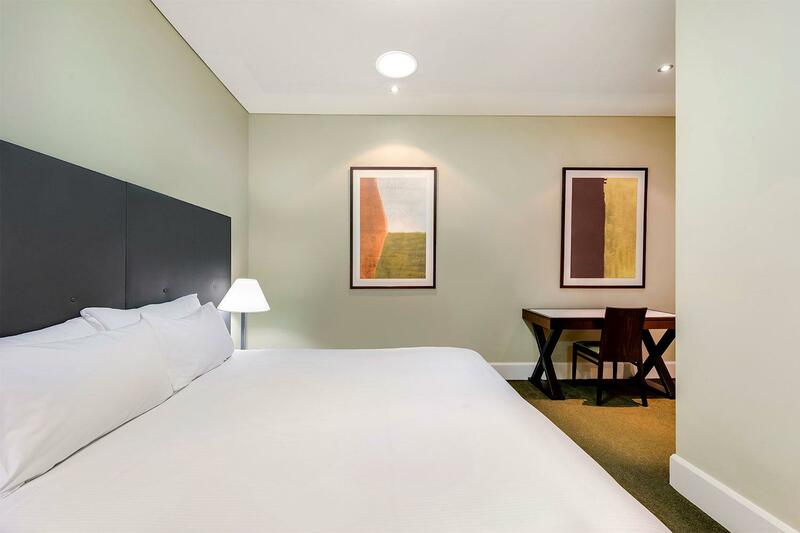 We run along the Torrens, wander in the city, go for a swim in the delightful basement pool, have a coffee in the courtyard and revel in the peace and quietness of our luxurious room. Thank you again. The location is very convenient for tourist sightseeing and shopping. The staffs are very nice and helpful. I have 2 nights in this apartment. The room is very clean and convenient. The room is well furnished and all type of tourist. But, it is the car park is out of the hotel.